In a competitive retail market, it can be difficult for consumers to be certain if they are getting the best deal possible on their purchases. And although there have been some pretty good apps that have been released to assist in this area, Yroo.com's take on this technology really goes the extra mile. CTO & Co-Founder, Nick Zhu, stopped by during our pre Collision coverage to give us the rundown. 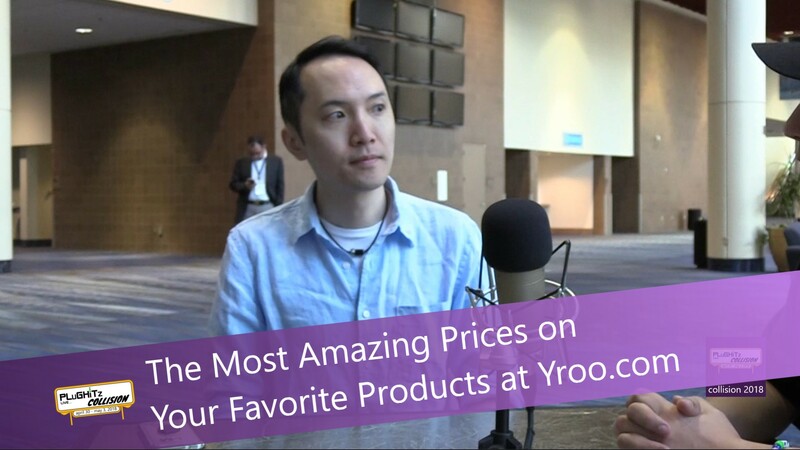 Yroo is a big data platform designed to assist consumers with price comparisons to make sure they get the best deals while online shopping. Nick was a data mining consultant for years when he and his partner realized that they could take this type of technology in a totally different direction. One that will help shoppers instead of just big business. So they began working on taking all of the power of big data, machine learning, and predictive power to the other side. To start, they collected massive retail data, i.e. product, price, availability, and distribution and then converted it to a platform that is easy for consumers to utilize. It's basically a vertical search engine, so customers can search for and find the products they want and the site will automatically cluster all of the sellers together so that prices can easily be compared. Historical pricing data is also included so buyers can see if the sale price they see today is actually the lowest in the past 30 or 60 days. All of this is also available on their mobile app that also includes a bar scanner while shopping inside stores. They currently monitor more than 150 million products, so the selection offered is impressive. They have 95% of the top 100 retailers in the US including all of the popular marketplaces like Amazon and eBay. Here at collision, they are introducing browser extensions that the buyer can download to further expand the service. So for example, if you are shopping on Amazon for a particular item, all of the competing information will be brought right into your browser automatically. This puts all of the power and information right at your fingertips. Supported browsers include Chrome and Safari with Firefox and Edge to follow. Check out Nick's interview and then give it a try for yourself by visiting their website.